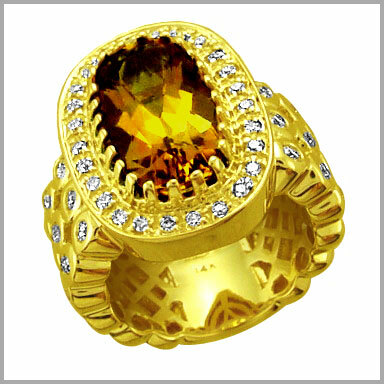 14K Oval Cut Citrine & Diamond Bezel Ring,0.71 ct diamonds. Crafted in polished 14K gold, this ring features one cushion cut 16 x 9mm Madeira citrine in a prong setting. It also features 18 round cut diamonds in bezel settings and 26 round cut diamonds in bead settings. The total citrine weight is 5.50ct and the total diamond weight is 0.71ct (both approximate). The diamond color is H and the clarity is SI. 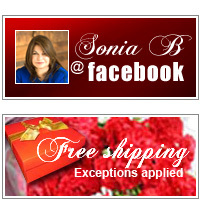 The setting size is 7/8" x 5/8" with a height of 5/16".